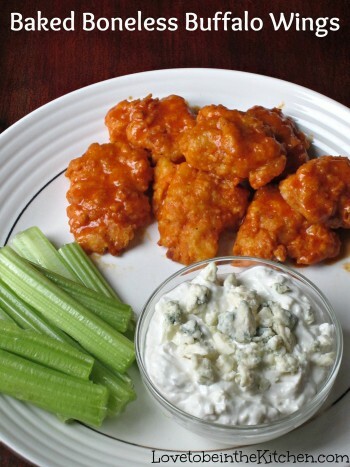 A simple 3-ingredient appetizer that is sure to be a crowd pleaser! I was excited to try this recipe but not sure if it’d be too spicy for me but it was actually great! We spooned out all the seeds but if you like it spicier you could keep some. 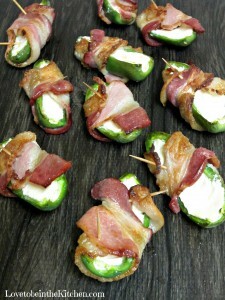 To make this all you need to do is half the jalapenos, remove the seeds, stuff with cream cheese and wrap in bacon! Bake it and you’ve got a yummy appetizer everyone will love! 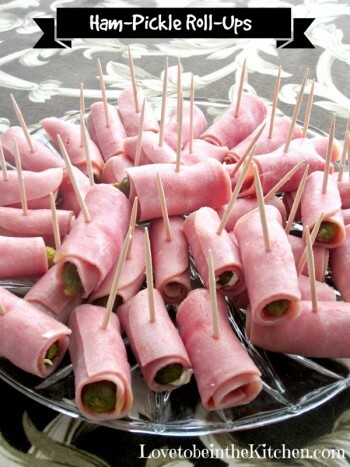 How much bacon you wrap around it will depend on the size of your jalapenos. We couldn’t find small ones so we ended up needing 3/4 a strip for most jalapenos halves. So before you cut your bacon test out the size of the bacon strip you will need before cutting it. Cut jalapenos in half, length-wise. With a spoon, remove the seeds and white membrane (leave some if you want it spicier.) 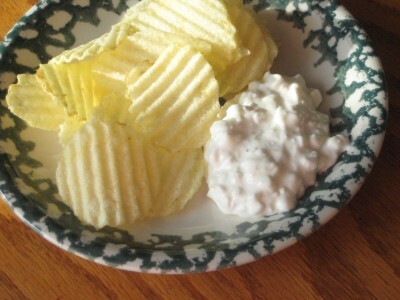 Smear softened cream cheese into each jalapeno half. Check how much of the bacon slice you’ll need to wrap around the jalapenos then cut it to the needed size. Wrap jalapeno with bacon pieces. Secure by sticking toothpick through the middle. Bake on a pan with a rack in a 400-degree oven for 20-25 minutes. If needed turn the oven to a low broil until bacon is to desired crispiness. *Use latex gloves if you have them when touching the jalapenos. It bothers some people’s skin to touch it although it wasn’t a problem for us. They look so good! I tried to make these last year and made such a mess of them. They tasted good, but I used shredded cheese and may have piled it on too high since the cheese oozed everywhere while baking. Thanks! I’ve seen recipes that also use shredded cheese but I prefer just cream cheese. I love the texture and it’s the perfect compliment to the spiciness in the jalapenos.